Wapnick found herself jumping from one interest to another, leaving one when it didn’t challenge her any more. At a certain point, she started questioning her behavior. Was there something wrong with her? She says that most people who don’t know the one thing they want to be when they “grow up” eventually get stressed out, because our society trains us to think we have to choose one thing as a career. Our culture basically negates the idea that we can choose to do many different things. 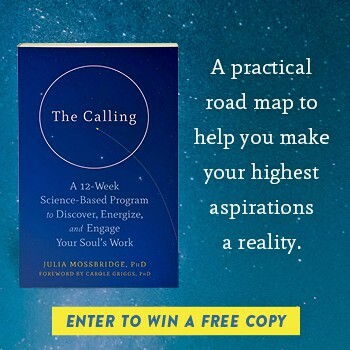 “The notion of the narrowly-focused life is highly romanticized in our culture,” says Wapnick,it’s the idea of destiny and having one, true calling. Some people, she claims just aren’t wired to make a singular choice for what they want to do. These are the people she calls multipotentialites. If you don’t particularly like that term, Wapnick says you can use other synonyms such as the: polymath, renaissance person or scanner. If you are a specialist (someone who came out of the womb knowing what you want to be), that’s great too. In fact, you could work really well with a multipotentialite. The important thing is not which type of brain wiring we have, but that which ever type we have, we fully embrace it. Vicki Howie is Co-Editor of Conscious Life News, the Creator of Chakra Boosters Healing Tattoos™ and the Host of free, weekly Conscious Life Awakened Speaker Series (CLASS). She's also an intuitive empath, certified hypnotherapist, life coach and the co-creator of the contemporary healing album Chakra Love. Get your complimentary copy of Vicki's Introductory Chakra Course here and start harnessing the untapped power of your chakras. Because those of us, who engage in many interests and careers are perceived as ‘jack of all trades, masters of none’ and other derogatory terms, like not having any commitment to anything. The point is that it’s OK – it’s a different learning experience. People with one potential find one focus easily and than go for it. Nothing wrong about it. I envy them. Clearly, you aren’t one! I am. I get this! Okay, this explains a lot. This is amazing.. it’s me 100% without the label. Caught between whittling, writing and producing music, cutting firewood (already downed trees), landscaping business, creating compost/castings with wigglers, aswell as growing pure organic raw foods.. I do it all and still more. There is no 1 choice in life. We are all here to learn and create in our own way. Stop slaving for other people. Create!!!! !